In a local supermarket they have an Asus EeePC 1000HE for the equivalent of £250 – £50 cheaper than in the UK as far as I can tell. It has an international warranty too, so no dramas there. The only drawbacks are that it comes preinstalled with WinXP Arabic (I’d be nuking whatever OS it came with regardless to put on Ubuntu and WinXP, so I don’t really see this is a problem) and it has some arabic markings on the keys. I don’t look at the keyboard anyway, and all the keys are in the same places (and the english markings are most prominent). I just hate spending money. On the otherhand, I did a fair bit of overtime last month, more than enough to pay for it and it would come in pretty handy in Japan and so on later this year. Thinking about buying this has led me to a realisation about my purchasing behaviour – I think I dislike spending money on things like this generally – I don’t like to impulse buy technology. I’ll research and research it, but deep down I think I know I’m going to buy it almost immediately – it just depends on if I can stall myself long enough for external events to stop me. I did this with the Samsung NC10 – ended up buying on a whim. Whats the NC-10 like? I’ve heard it’s pretty good (although the battery doesnt last quite as long). Did you end up getting one in the end then? I’ve got the Acer Aspire One Series, except with a proper HDD rather than a Flash SSD. Running Windows 7 beautifully at the moment but I might have a play with the Ubuntu Netbook Remix. Yeah man, I ended up having to lug one back for Mog too. Its pretty neat so far, although I’ve had limited usability as arabic winXP is HILARIOUSLY unusable (for someone who doesn’t understand it, that is). I’ve installed Ubuntu Netbook Remix on it which is pretty tidy I have to say. There are some niggles – the graphics drivers arent entirely optimised for my chipset it seems so things like heavily flash-laden websites slow it right down despite its pretty decent specs as netbooks go. I’m going to install winxp on it when I get back to my flat in Leeds as I’ve got a copy of winXP there to use. I’ll probably dual-boot it, ubuntu is really flexible and handy. The Acer’s are awesome, one of my colleagues bought an A150 from tescos for like 150 quid, looked really tidy. I might try Windows 7 on it at some point, I’ve yet to check it out. Does it need any tweaking to run on netbooks? 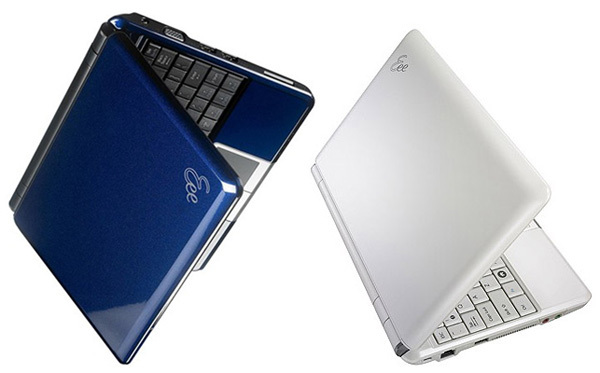 Whats the point of a netbook? To browse theinternet on the move? Why not just use an iphone or such like? As far as I can see their functionality is rather poor and so if you actually wanted to do any ‘work’ wouldn’t have to use a laptop anyway?? You’ve got some good points, I think their market position is somewhere inbetween a smartphone and a laptop – netbooks are cheaper, lighter, smaller and have longer battery life than laptops, but have a lot less processing power and can’t really be used for applications that have any resonable level of computation required (heavy photoshopping, etc…). I’ve got a Dell XPS 1530 which is fairly beasty in terms of performance, and its fine to carry about to work and for when I head back to Sheff, but in terms of portability carrying it about it’s a joke. At the same time, with a netbook I get a lot more power and capability than an iPhone, without any data charges etc… but I can’t exactly put it in my pocket and walk about! I guess its because I just don’t have a use for one that I can’t see their point!